By the end of the 1930s it had appeared that Katharine Hepburn's star had already risen and fallen. Due to a string of commercial failures (BREAK OF HEARTS, SYLVIA SCARLETT, A WOMAN REBELS, QUALITY STREET, to name a few), the independent movie theatres had labelled Hepburn "box office poison." This bad press made it difficult for even her good films of the period (ALICE ADAMS, STAGE DOOR, BRINGING UP BABY) to turn a profit for the studio. 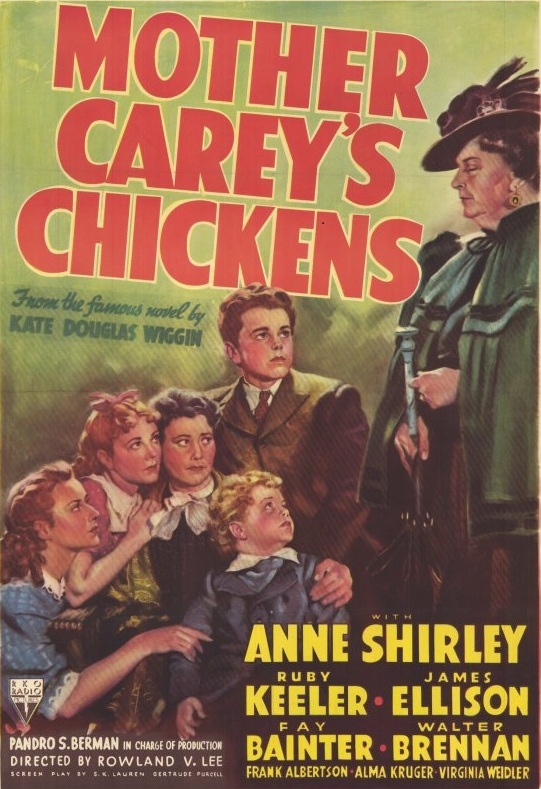 When RKO Radio Pictures offered Katharine Hepburn a part in a film entitled MOTHER CAREY'S CHICKENS, she knew it was time for her to quit that studio and move on to greener pastures. She paid RKO $75,000 to loan her out to Columbia for HOLIDAY (for which she was paid a handsome $150,000). This wasn't the first time Hepburn had seen this material. After her graduation from Bryn Mawr in 1928, she got a job as understudy to Hope Williams who was playing the lead in Philip Barry's play Holiday on Broadway (it was while working as Williams' understudy that she married her beau from college days, Ludlow Ogden Smith, and moved to New York City). However, when Hepburn remembers this early opportunity in show business, she says "I soon realized that Hope was a very healthy girl. It wasn't that I wished her anything bad. She was very talented and very nice. But I understood that being an understudy was almost worse than not being in the theatre at all, if you understudied someone who never missed a performance" (Chandler, 122). When Williams offered to stay home for a matinee and allow Hepburn perform in her stead, Hepburn turned her down. "An excess of pride," explains Hepburn. "It was what I suffered from." Hepburn would later use material from Holiday for her first ever screen test, which is how she caught the eye of director and long-time friend George Cukor. "Don't you say a word about Leopold! He's very sensitive!" "Uh-huh - Looks like me." 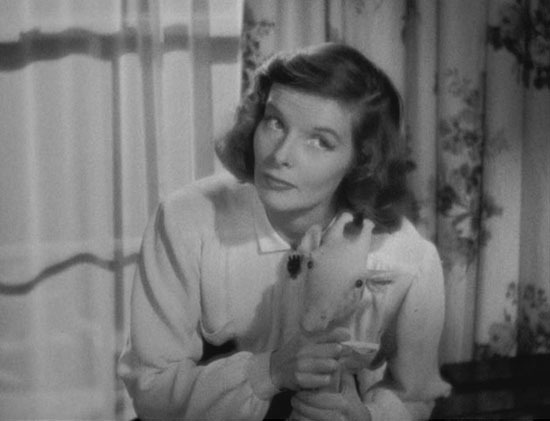 Although critics praised HOLIDAY, and Katharine Hepburn's performance in it, depression-era audiences did not enjoy some of the inherent themes. While 30s movie-goers loved to observe "the privileged class enjoying its privileges" (THE PHILADELPHIA STORY (1940)), they were not sympathetic to the Johnny character who wanted to chuck a good job out the window so that he could have the freedom to think. America was looking for pragmatism and optimism during the 1930s, and Johnny's happy-go-lucky scheme to quit work and philosophize about life was too impractical to be attractive. This film has been on my Netflix queue for awhile. I love Hepburn and Grant in The Philadelphia Story so hopefully this is as good. Holiday is one of my favorite movies. The casting was great. I enjoyed it more than the Philadelphia Story. The thinking of the time was that “Holiday” was a flop because the movie’s thrust flew in the face of reason during the Great Depression when so many were out of work, and they put out a movie about some dreamer wanting to stop working to take a “big” vacation to “find” himself. I think that’s a valid observation. But there is far more going on here. This movie was an attack on capitalism! This movie was just another subtle attempt by the communists - and fellow travelers who infected Hollywood - to condemn capitalism and promote socialism – especially the communist Soviet variety. The rich characters were painted as greedy foolish unhappy buffoons deserving of our contempt, because they wanted to continue to build their fortunes and live respectable lives. Fortunes that would be the backbone of an economic system that provided all the jobs those Depression era viewers so desperately desired, and living ‘respectable’ lives that lent stability to society. This movie attempts to demonstrate that ‘the rich aren’t happy’. Hogwash! As I watched this movie at this point in my life I realized that the character playing “Julia’s” father was a truly generous and gracious benefactor to his family, and although the character Julia was deliberately painted as a selfish conniving shrew, her position was totally right, and should have dumped Cary Grant as the character “Johnny”. The character “Johnny” was a blithering leftist idiot, and Katharine Hepburn was the perfect choice to mouth the leftist swill in this movie since she really was a socialist, along with her family. Her mother was a well known Marxist in her day. I saw this movie fifty years ago and “thought” it was one of my favorites. I saw it today – December 25th 2013 – and now I can see it for what it is. Subtle leftist propaganda! That certainly is one way of looking at it! Maybe that's why I like it so much. HOLIDAY makes a refreshing change from all the right-wing propaganda swill that pervaded many Hollywood films of the era. I actually agree it makes me happy it was a flop because people back then actually knew when something was wrong like socialism, unlike today where it flourishes. This is one of my favorite movies. This is a fine, interesting article about it. I enjoyed reading it, and I look forward to reading more of your articles in the future.